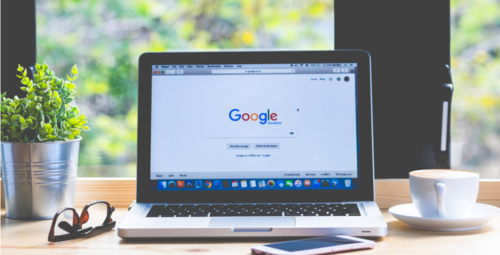 The advantages of working with a digital marketing specialist for your business are many, however, before you start to mention them it is important to understand what it means to be a Premier Google Partner? Google has made available a badge that recognizes the marketing companies that have approved the criteria to become a partner. Premier Google Partners are companies in which most of their employees have met the requirements of expenses and performance to become certified in AdWords, thus offering a competitive advantage to their clients. This badge recognizes that employees are able to manage a large advertising spend every 90 days and continuously meet the quality standards stipulated by Google. In other words, they earned it! Being a Premier Partner ensures that AdWords certifications are up-to-date and the company complies with Google's standards for best practices in account management. Companies with this badge have access to Google's beta features. Imagine the advantages of accessing and testing, up to one year before they are available in the general market, new Google functions for online marketing. A Premier Google Partner company has employees who are experts in the features that AdWords offers and cost-effectively implement them for their customers. Analysts dominate the use of matching keywords, negative words, links within ads, ad extensions, scheduling, etc. The cost-per-click or PPC constantly evolves, which is why creating sound and measurable strategies is indispensable for your success. Members of a Premier Google Partner company regularly attend workshops on the latest PPC trends. Inevitably your business benefits from being outside of the innovation in digital marketing. Google partners must test each of the active ads to bring the largest volume of leads to the website of the brands they handle. Then make sure there are multiple ads per campaign with different keywords and messages. Google encourages experimentation in selecting target groups to find the best market for their customers. Any company that does not have the Google standards will lose its badge, which guarantees high quality of work for / with its customers. In Infopaginas we are not only Premier Google Partners, but in 2016 we were recognized with the Google Channel Sales Mobile Champion Award. This award recognizes the company of Latin America with better performance in campaigns for mobile devices. These recognitions solidify the commitment that we have as a company with the quality and innovation in the digital marketing of our clients. If you want to know how we can grow your business contact us, we want to know your needs.